An effeminate boy who’d rather would have been born as a girl, a masculine girl who’d rather be a boy, and a student who comes to her first day at a new school dressed in a boy’s uniform just because. The number of anime titles dealing with gender identity in a realistic and non-comedic way are extremely few and far between. But Hourou Musuko (Wandering Son) does exactly that. 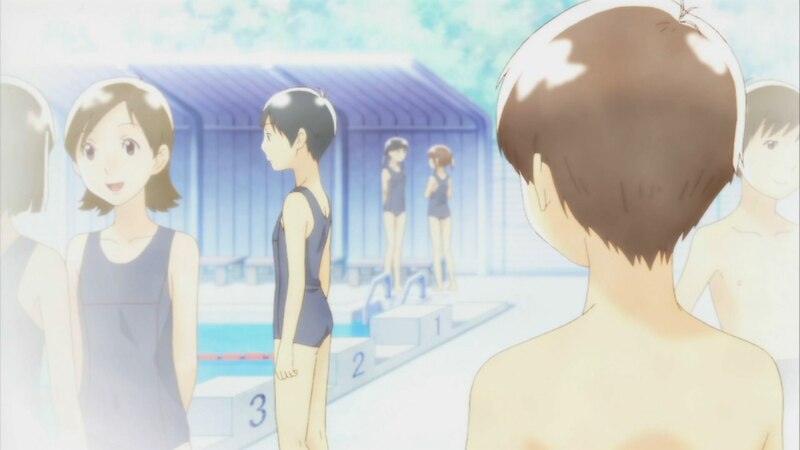 The plot of Hourou Musuko consists largely of what you might expect from a slice-of-life anime – a group of young teens attempting to carve out a niche for themselves amongst their families and peers while discovering the joys of navigating through puberty and school life. What makes this series stand out from the countless other anime doing exactly the same thing are the characters themselves. Shuichi, a cute but unassuming male who begins to cross-dress with the encouragement of his friends is nonetheless still attracted to girls and worries about the physical changes his body will go through. Yoshino, a tall and more emotionally charged girl prefers to dress and act like a boy but doesn’t like to draw attention to herself, and refrains from cross-dressing unless she travels outside of her home city. Then there are personalities like the outgoing and impulsive Chizuru, who occasionally dresses as a boy as a gesture of independence but seems perfectly happy just the way she is. In short, everyone in this show is unique in his or her own way, yet also comes across as far more down to earth than many, if not the majority, of those presented in other slice-of-life titles. While Hourou Musuko does have its humorous moments, it avoids straying into primarily comedic fare as with other anime involving cross-dressing as a main plot point such as I My Me! Strawberry Eggs, Princess Princess, and Ouran High School Host Club. At the same time, Hourou Musuko also miraculously steers clear of any real melodrama. The artwork of this anime is reminiscent of watercolour; soft and almost fuzzy around the edges, which lends the series a very gentle tone despite the serious nature of its themes. You won’t find any unnatural hair colours or enormous eye size here, and in that sense it’s perhaps vaguely akin to the work we’ve seen come out from Studio Ghibli. 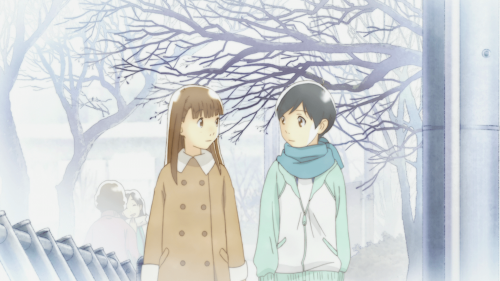 Hourou Musuko is not for everyone but for those after something touching and heartfelt but just a little off the beaten track, I strongly suggest giving Hourou Musuko a try. At the very least, you’ll finally be watching something that doesn’t stoop to using gender reversal as an oversexed plot device. This looks great!! Will certainly check it out!